From amateur collegiate a cappella groups to professional ensembles like Straight No Chaser and Pentatonix contemporary a cappella can be more than ever before. In So You Want to Sing A Cappella, Deke Sharon combines historical context and a comprehensive look at the a cappella community, with a detailed focus on vocal techniques, rehearsal practices, and live audio support to get readers singing great a cappella. 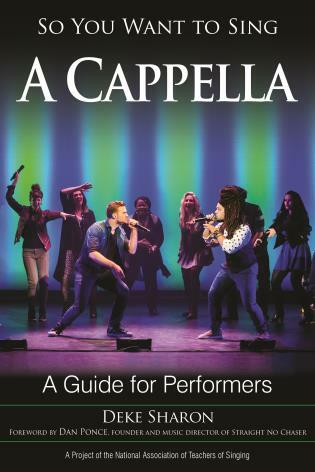 This book is aimed at singers of all ages at any stage of life, from eager pre-teens through empty nesters, with focus on those who wish to enter the world of contemporary a cappella or guide an a cappella ensemble at their school or in their community. Additional contributed chapters discuss singing and voice science, vocal health, vocal percussion, and audio technology. The So You Want to Sing series is produced in partnership with the National Association of Teachers of Singing and each book features online supplemental material on the NATS website.